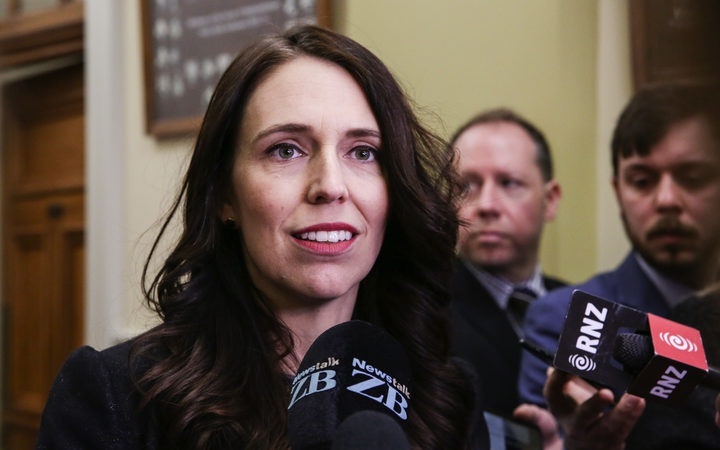 Prime Minister Jacinda Ardern will be asking for more detail about the detention of a New Zealand journalist in Nauru when she arrives for the Pacific Islands’ Forum. TVNZ’s pacific correspondent Barbara Dreaver was detained for three hours yesterday and had her media accreditation to cover the forum revoked. Ms Dreaver has been covering the pacific for almost three decades, and is very well known in the region. She said she was interviewing a refugee on the island yesterday when police turned up saying she breach her visa conditions. “I was taken to the police station, I have to say the police were really lovely, genuinely they were really great, I think they were just playing it by the book. Ms Dreaver said she was still able to report on forum events, but she could not access the media centre or go to any of the press conferences. The Nauru Government released a statement not long after Ms Dreaver was released saying she was never detained rather she voluntarily accompanied them while they made further enquiries. The statement said no journalist had been prevented from talking to any person, including refugees, but Ms Dreaver did not follow the correct procedure. The Republic of Nauru today alleged that RNZ was “spreading misinformation” in a tweet. “Issue was never about being prevented from talking to people. It’s about following procedures for safety and security of all. Some NZ journalists seem to be upset they have to follow the rules, yet if they did they’d have no issues,” it tweeted. Radio NZ spreading misinformation from Nauru. Issue was never about being prevented from talking to people. It’s about following procedures for safety & security of all. Some NZ journalists seem to be upset they have to follow the rules, yet if they did they’d have no issues. To NZ journalists on Nauru. You aren’t above the law. Walking into certain areas unannounced where emotions run high increases risk & places lives in danger. The police work hard to protect everyone. Follow the rules and go through proper channels & you won’t have a problem. Foreign Minister Winston Peters, in Nauru, said freedom of the press was critical to democracy. National’s Foreign Affairs spokesperson Todd McClay said the actions of the Nauru authorities were unacceptable. “This is a journalist of high reputation who is just doing their job in a Pacific Island Forum nation and they have been detained without good reason. ACT Party leader David Seymour said detaining reporters went against everything that New Zealand stood for. He said the Government should be warning Nauru that millions in foreign aid would be cut if it did not respect basic human rights. Ms Ardern will head straight to the forum for the leader’s retreat today. She said she would get advice when she landed about what happened with Ms Dreaver.